On the menu bar of the program, click on view, locate text size, and choose the text size that suits you best. 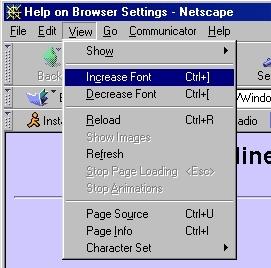 In Netscape Navigator (4.7x) the font is changed on the menu bar under view, increase font or decrease font. 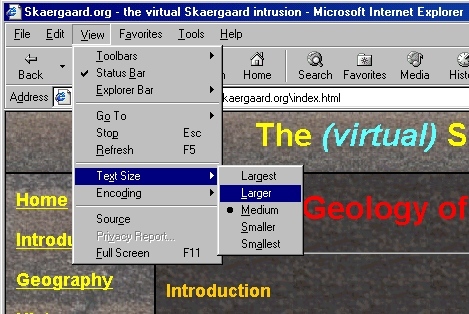 In Netscape Navigator 7.0, you can choose between a number of options under view, text zoom.